We know from previous blogs and the Total Somatics online programme that our brain and body are not “set in stone” with what we start life with. We know that at birth we begin as a set of reflexes created by our subconscious. But as soon as we are born, our conscious mind starts to absorb new information and that is when cortical learning begins. We have witnessed how amazing babies are at mimicking and learning from their surroundings. They are even adept at twisting us around their little chubby fingers! My mum used to say that babies study a secret psychology course because very quickly they know how they can manipulate us and pull on the heart strings! So today we are going to continue looking at how our mind and body continue to change with neuroplasticity, intelligence, somatic awareness and epigenetics. EPI means outside factors. GENETICS means our own genes or genetic coding. This is who we are, what we feel and sense in everyday activities. It is also how we view and feel ourselves when we look in the mirror. What you see in the mirror is a result of how your DNA has activated to create your physical traits and looks. BUT CAN WE CHANGE OR CONTROL OUR FUTURE? Yes we can. Contrary to old beliefs, we can. Thanks to the scientific discovery of Epigenetics, we can change our future, either for the good or detriment of our health and well being. For instance a very simple example could be our diet. The diet we consume can thicken our hair or it can make it thinner. Our diet can influence our skin. You may notice your skin becomes dried out or inflamed and patchy from eating certain foods. If you have a nutritional deficiency, you will notice grooves appearing in your nails. Basically as our health changes, our mind and body changes. As the outside body changes, the inside body changes for the positive for negative. Once again we can see how from our understanding with Somatics that we are a SOMA (mind, body, soul, psyche-whole being). It clearly identifies the importance of caring and working with our whole being for overall health and well being benefits. *Social Interactions- Either positive, upbuilding conversation or toxic gossiping, fault finding critical conversation with like minded individuals. *Amount of exposure to outdoor environment/climate. *The amount of exercise we are involved with. *How we feel with our mental, emotional, physical and spiritual health. The way we respond to these various external factors may influence our body shape, features and health on the inside. Can we create changes? Can we rebalance these factors? Can we control our future? These are big questions! Obviously there are certain areas of life we cannot fully control, but we are in the driving seat of our SOMA. So we can control and influence what we think, say, our choice of associates, what we consume either emotionally, mentally, physically or spiritually. There are lots of scientific studies which highlight how our body is plastic, just like the brain; it can change and adapt to how we influence it. One area that we who practice somatics are very much aware of is Neuroscience. We know that the brain works well when different regions are activated. This is how the brain communicates with the SOMA. The brain influences thoughts, emotions and behaviours. There is another area of science which influences neuroscience and our SOMA generally. This area of science is called Chronobiology. It is the science of biological rhythms, thoughts and behaviours over 24 hours of light and dark influence. This is an area we discuss further in the Total Somatics online programme. HOW CAN WE MEASURE OUR EPIGENETICS? We can look at specific intolerances to food, inactivity of exercise, the amount of hours spent at work, our social interactions and stress levels. We start to become more somatically aware, be able to read and understand our whole person or SOMA. We learn to understand how we can influence our own health and life. Scientists discovered that EPIGENETICS IS THE BRIDGE BETWEEN our genome (an organism with a complete set of DNA, including all of its genes) and the environment. So the points we have considered above will affect our genome through the epigenome. The epigenome is a mulititude of chemical compounds that can tell the genome what to do. They can change the way cells use the DNA’s instructions. So let’s break down a few influences and what repercussions that can have on our SOMA. When we are exposed to different factors or conditions, this will influence our genome. When we are exposed to stress, certain foods or substances such as sugar or sweeteners, drugs, UV rays and emotional stress and trauma; our DNA becomes damaged. An area of concern nowadays is food colourings and preservatives. When foods containing green, blue or red colourings are exposed to cells, they cause extensive DNA damage. This is where we have to absorb the scientific research and evidence and start to make informed decisions about our well being and if we have children, their present and future health too. So in order to live a more Somatic lifestyle, we want to become PERSONALISED AND SMART WITH OUR OWN HEALTH. No SOMA or genetic code is the same. We all have certain triggers and responses to different situations or factors. The more we are in tune with our body, the more we can feel, sense, move and read it with greater awareness. We all live in different regions of the world, we have different personalities, different things which stimulate our minds, hobbies, careers, friendships, foods and DNA! So should we all be identical or generic with our advice? No. Take for example physical exercise. A 60 minute run three times a week may suit some, but for others it will cause knee pain from a history of structural damage to their joint. Weight lifting for upper body strength may work for some, but a person with arthritic hands will struggle to grip hand weights or handles. They have to find their alternative way to increase upper body strength. THEY ARE WORKING SMARTER NOT HARDER WITH THEIR BODY. One area we have discussed in previous blogs and what we discuss and develop further with the Total Somatics online programme is THE LANGUAGE WE HOLD IN OUR HEAD. When we are in pain, it can consume our thoughts and we can start to think in a doom and gloom manner. I often see this with clients in a lot of pain. I will often highlight that until you as a person reassess the facts with a different mindset, things won’t change. So when you are in pain, open your eyes to the bigger picture to increase your perspective. Look at what inspires, motivates and empowers you. If you could control your life and health, what would you do? Would you like to be in control and live life with a healthier, happier SOMA with the knowledge of Epigenetics? You have that control, don’t let pain control you. This is the whole reason THOMAS HANNA created Somatics. He wanted people to shift their SOMA from disempowering beliefs and actions to taking control of their whole being again. Due to the trials and traumas we endure over the years, our subconscious mind starts to dominate and dictate many of our habitual patterns of behaviour, thoughts and the way we hold and move our body. This results with us living in a SOMA which is stiff, tight, in pain and reactive to stressful events. 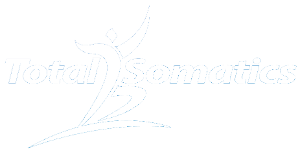 WHY NOT USE SOMATICS TO CHANGE YOUR EPIGENETICS ON SO MANY LEVELS? Allow the science of neuroplasticity and epigenetics to reduce your pain levels, retrain your muscles when to relax and contract, so you can move more freely. The mindfulness skills taught in the Total Somatics online programme will help you to change your REACTION to become a RESPONSE. Changing this behaviour requires different areas of the brain to fire. When we rewire our brain, we will live more in the present rather than with our subconscious mind which causes us to hold our body tight, rigid, stiff and in pain. Likewise our subconscious mind dominants negative thoughts, actions, intentions and words. My final point I would like to share with you, is that the amazing discovery of epigenetics also reveals that we have inherited certain traits and changes to our DNA from past family generations. But we know now that we can change it. But also amazingly, the changes you make today will influence the genetic code of future generations in your family. So why not make that change for IMPROVED HEALTH AND WELL BEING today by joining the TOTAL SOMATICS online programme. 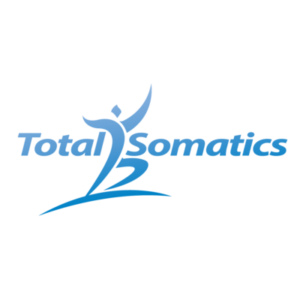 Join the International Total Somatics community and FEEL THE BENEFITS OF MINDFULNESS WITH TOTAL SOMATICS.